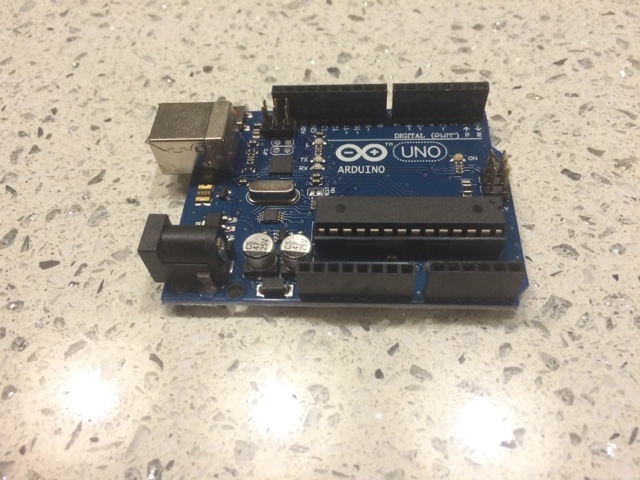 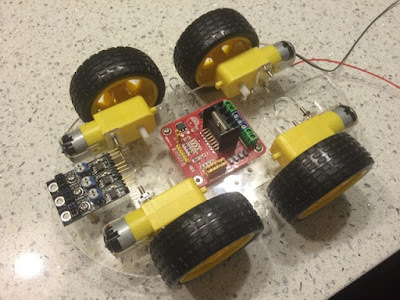 Helping my son finishing this Arduino UNO robot car 4WD. 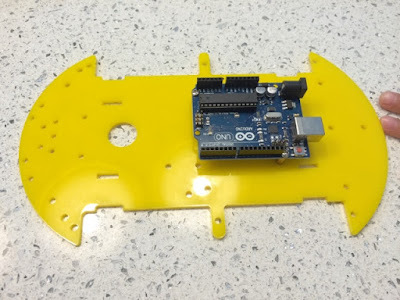 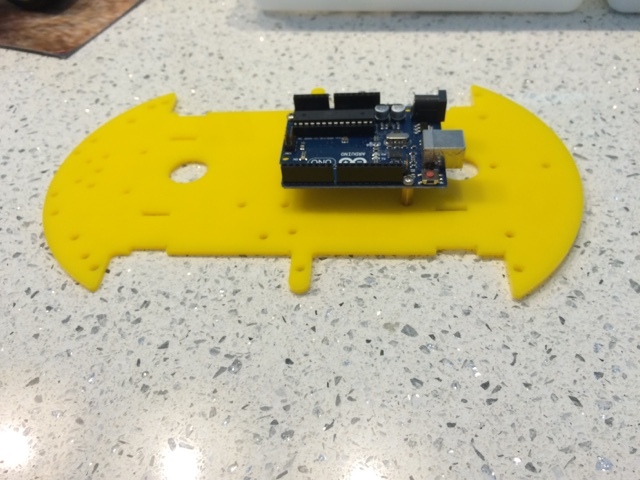 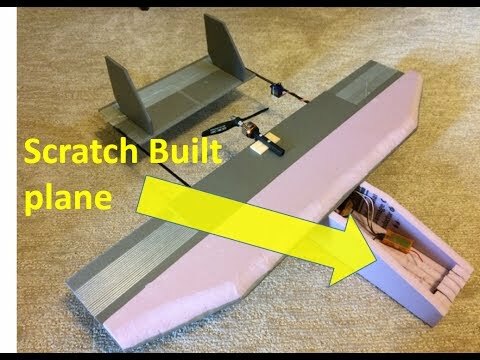 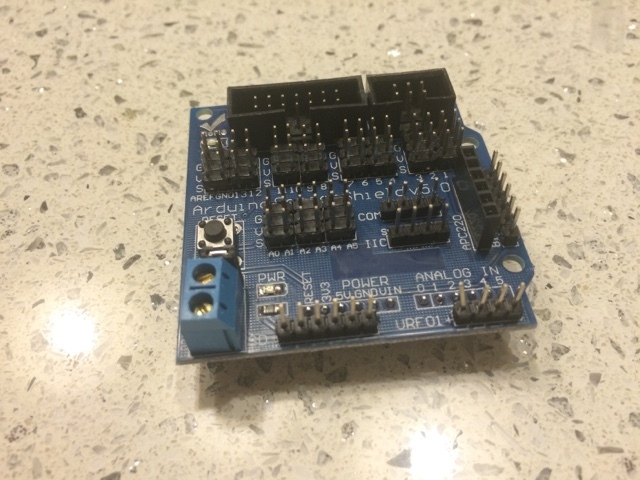 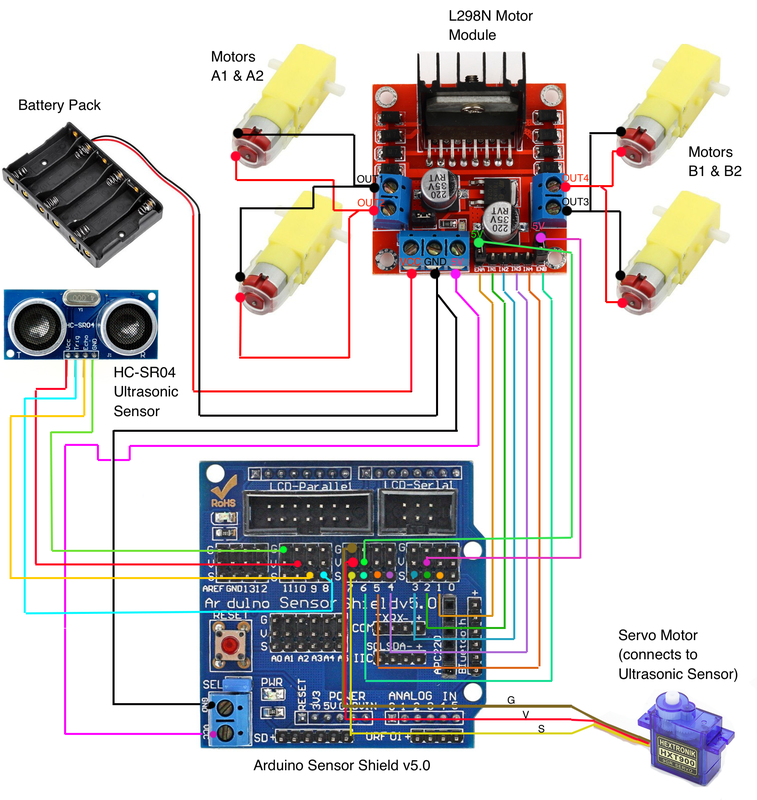 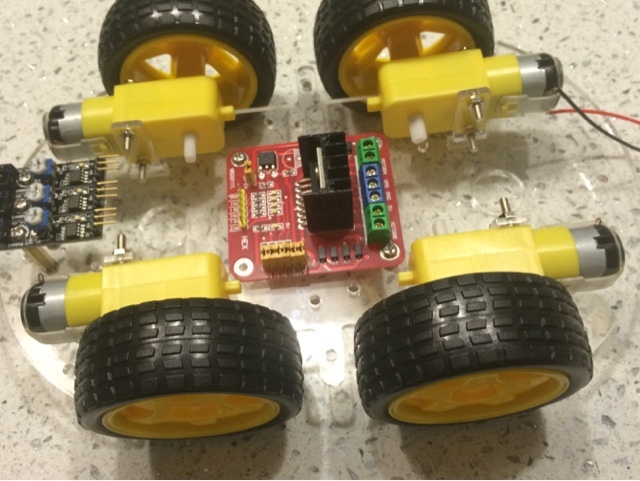 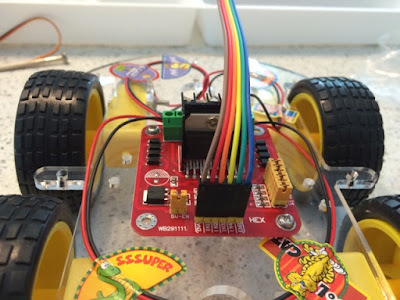 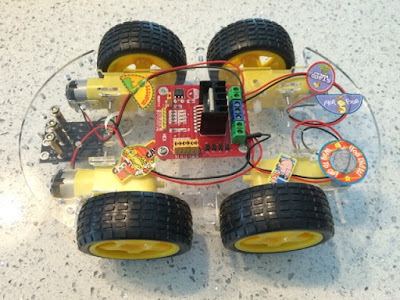 Arduino Bluetooth 4WD Car Codes. 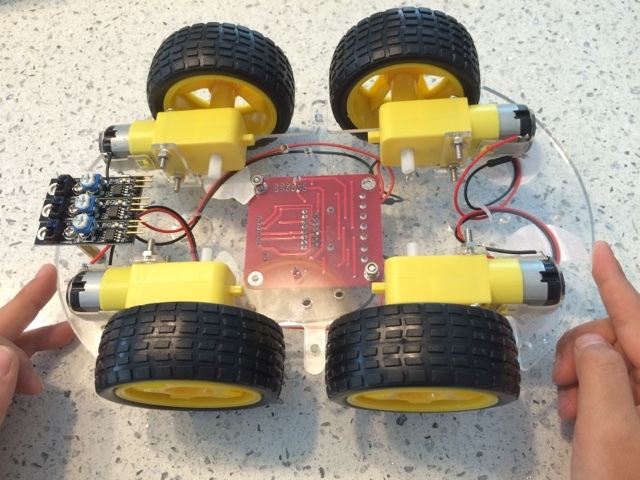 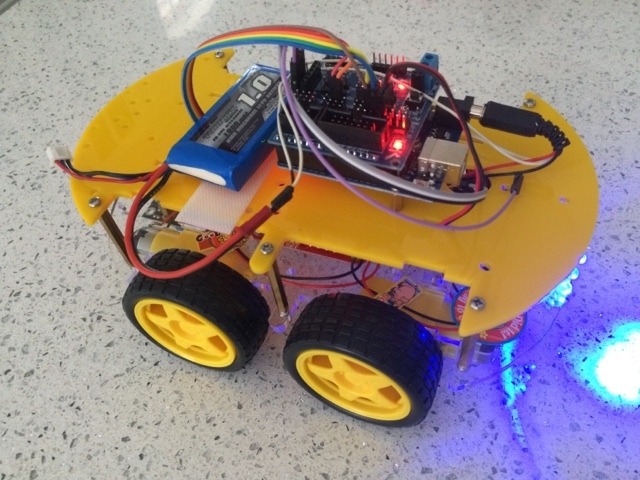 Arduino Bluetooth 4WD Car Code with LED on pin 12. 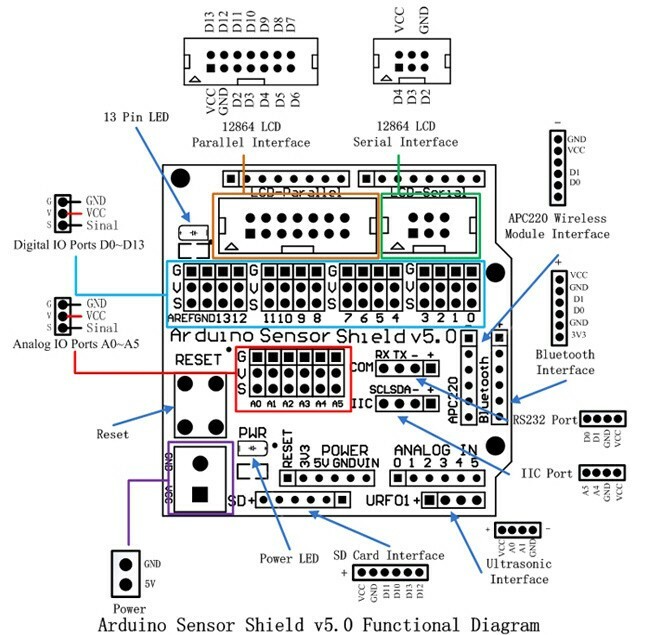 Can you explain how to connect it step by step please?